Where are the women musicians in this summer's music festivals? If you’re looking to see talented women playing in Newfoundland's major music festivals this summer, you may be out of luck, writes Andrew Sampson. If you want to see talented women playing in Newfoundland's major music festivals this summer, you may be out of luck. When posters for the Salmon Festival, the competing Confederation Hill Music Festival and the perennial George Street Festival are stacked side by side by side, the absence of any female performers is glaring. Salmon Fest has John Fogerty, Confederation Hill has Rod Stewart. George Street Festival has City and Colour. There are no women in any of the 14 headlining acts. "I'm not sure if it's just an oversight, or if people think that classic rock is only done by men," said Kerri Neil, an economics student at Memorial University and blogger at Secret East. Neil said the absence of women in Newfoundland's music festivals this summer is unacceptable. "There are a lot of amazing female artists that are still rocking out there that could have been playing these festivals, but yet they continuously choose men to headline them," she told the St. John's Morning Show. Lots of women in the audience at past George Street Festival. Neil also noted that plenty of contemporary Canadian bands like Metric, Mother Mother and Arcade Fire all feature women in prominent roles. "I don't believe that women cost more or bring in less people, I don't think there is a real economic argument there. Bringing in women does appeal to women, there's economic value in that. And this lineup doesn't showcase any of that"
The lineup choices made by festival organizers, she adds, are also out of step with what younger generations want to listen to. "Ì remember when they were advertising for Rod Stewart they kept showing that clip from 1991 of all the young girls freaking out and I remember watching it and thinking, I don't think that's what the festival is going to look like this year," she said. 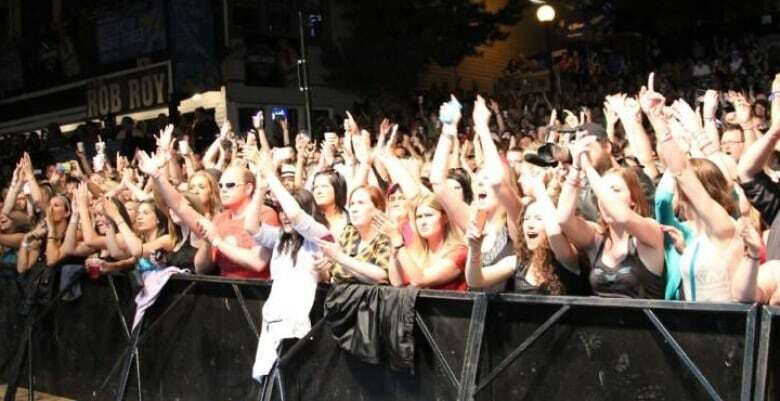 Seamus O'Keefe, executive director of the George Street Association, believes the dearth of female representation in festivals around the province this summer is likely just a coincidence. O'Keefe says festival lineups ebb and flow over the years. Just because this year's festival is flush with men, it doesn't mean that next years won't be flush with women. However, even though Serena Ryder and Tegan and Sara played George Street last summer, there hasn't been a strong pattern of equal gender representation over the past few years at the festival. Since 2012, the majority of headliners for George St Festival have been men. Some women have played, but they've almost always been relegated to supporting acts. 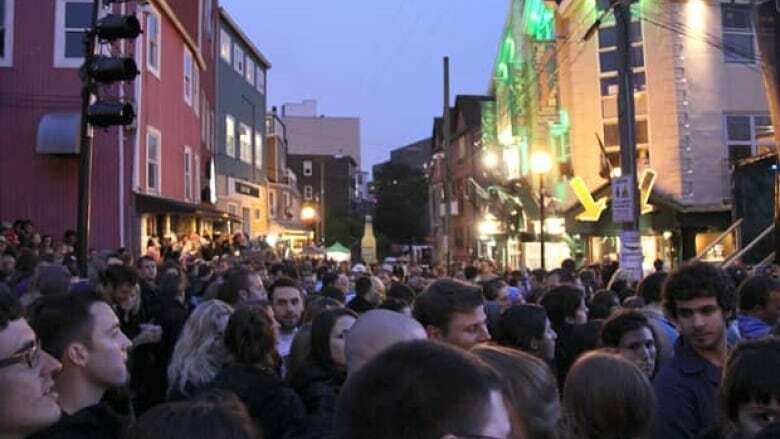 The difficulty in ensuring adequate gender representation at festivals in Newfoundland is not a problem exclusive to George Street Festival. Across the province in Grand Falls-Windsor, Salmon Festival organizers have struggled to bring women on stage as well. Over the past two years, no women have played Salmon Festival. According to Coun. Darren Finn, the gender of those playing isn't a consideration that organizers take into account when booking Salmon Festival. Finn also does not see the absence of women playing in the festival over the past two years as being especially noteworthy. Finn noted that while the festival had been pursuing women for this summer's festival, the discussions did not result in any bookings. And because talks with some female artists are still ongoing for 2016, Finn is unable to name the women that have been approached. Whether an act at the festival is male or female, Finn added, they still attract fans of both genders. Unlike George Street Festival, which is a privately funded event, Salmon Festival is funded by the town of Grand Falls-Windsor. But Finn sees no social imperative to ensure that the festival is representative of the population and includes women. "I don't feel like I have any obligation to think like that, I only have the obligation to look for artists that are available." In recent years, both Lawnya Vawnya and the Newfoundland Folk Festival have had a strong track record when it comes to booking acts of both genders. Over half the 48 acts in this year's Lawnya Vawnya festival and 8 of the 19 acts announced for the Newfoundland Folk Festival feature at least one female artist in prominent roles. Lawnya Vawnya and the Newfoundland Folk Festival are submissions based festivals. This means that the bands playing the festival each year are usually not sought out, and instead have to apply to play. John Drover is the president of the board for the Newfoundland Folk Festival. He says that the festival has never had much trouble making sure women are included in festival lineups, in part, because many female acts are applying to play the festival. In the meantime, Lawnya Vawnya has been up and running for the past five years. Festival co-ordinator Andrea Vincent says the festival has deliberately been making an effort to ensure that the lineup doesn't favour any one gender or type of music. While Vincent says she doesn't necessarily think organizers of competing festivals are choosing to favour men deliberately, she does think male festival organizers often have subconscious biases. And if there are few women involved in organizing festivals, those biases can often go unrecognized. Both the Newfoundland Folk Festival and Lawnya Vawnya feature an almost equal amount of men and women on their boards. Vincent added that she would love to see a mandate to ensure that publicly funded festivals must book acts that are representative of the public. And when young women see people that look like themselves on stage, that can inspire them to pick up a guitar, says Vincent. 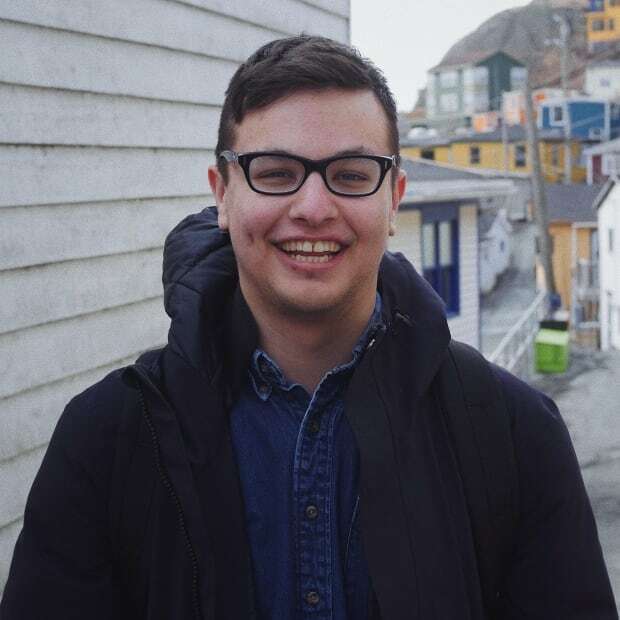 Andrew Sampson is a journalist with CBC News in St. John's.